This deep sea fishing tour is a must. Our licensed guide(s) will take you to the fishing grounds (especially during the recreational cod fishery) where you can catch cod, ocean perch, flounder, mackerel and squid and have them filleted before your eyes! Morning and evening tours available. 2018 Recreational Cod Fishery Season Every weekend in July and August including Monday , then September 22 until September 30 . This boat tour travels along Western Newfoundland coastline in search of whales, bald eagles, osprey, terns, ducks, seals, and loons. Other wildlife such as moose, caribou, black bear, fox and otter have been sighted. Get up close and personal with the bald eagles; collect mussels, or just sit back and enjoy the view! A wicked experience for sure! What better way to spend a hot summer day! Our seaside cabin awaits just minutes from Cox's Cove. 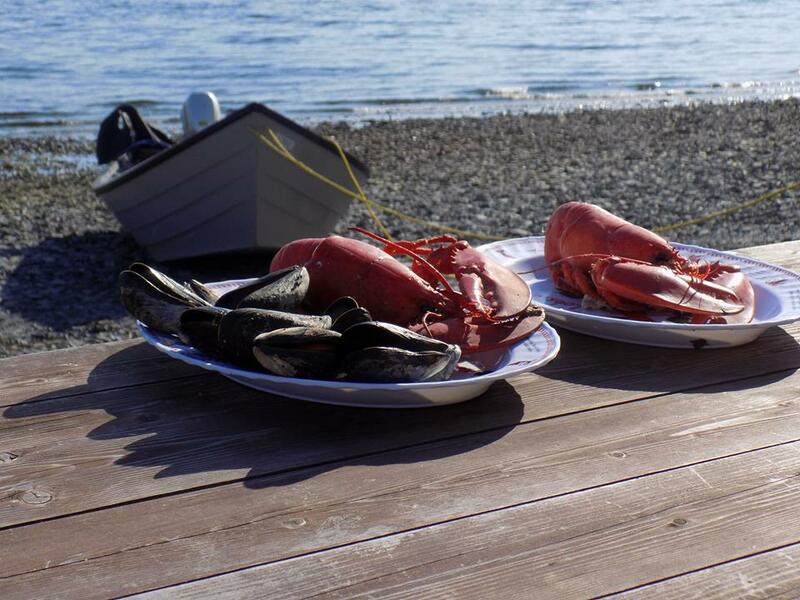 In Woman's Cove you will enjoy fresh mussels, snow crab or lobster (upon request) or you can catch the fish and our guide(s) will fry it for you! Explore the beach collecting rocks and driftwood. Watch for whales, eagles, osprey and other wildlife. A visit to the Seaside Cabin is included in the 4 hour tours.